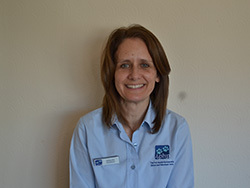 Nicky has been a veterinary receptionist since 2002. She joined us in January 2015. She is responsible for keeping our practice plan up to date. She is married and has a son and daughter. Nicky has recently welcomed a beautiful fox red Labrador into her home. In Nicky’s spare time she likes to run, go to circuits, walk her dog and socialise with her friends.